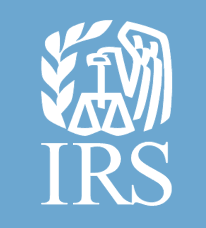 In 2015, the IRS called together major players in the tax industry—tax return preparers, software providers, state tax agencies, payroll providers and financial institutions—for a Security Summit to increase the cooperation, in place, to fight a common enemy—the identity thieves. Tax preparers are critical players in this partnership, and, because of the taxpayer information they store, are increasingly being targeted for data theft. Safeguarding taxpayer data is a top priority for the IRS; it is the legal responsibility of government, businesses, organizations, and individuals that receive, maintain, share, transmit or store taxpayers’ personal information. Taxpayer data is defined as any information that is obtained or used in the preparation of a tax return (e.g., income statements, notes taken in a meeting, or recorded conversations). Putting safeguards in place to protect taxpayer information helps prevent fraud and identity theft and enhances customer confidence and trust. This guide is broken into seven checklists, to help guide organizations in safeguarding their data. We’ve selected just ten items (from over 60), to build this short quiz, and have added details as to why these items are important in safeguarding data.